Hazzard attended Overbrook High School in Philadelphia, where his teams went 89-3 and he was named the city's player of the year when he was a senior. Hazzard then went on to UCLA, where he became a key player on the varsity basketball team. In Hazzard's first season on the varsity squad, the UCLA Bruins made their first Final Four appearance in the 1962 NCAA Toournament. They lost 72-70 to Cincinnati, the eventual champion, in the semi-finals. The 1961–62 Cincinnati Bearcats men's basketball team represented University of Cincinnati. For the second time in a row, Cincinnati defeated Ohio State for the National Title 71–59 before 18,469 at Freedom Hall, Louisville, KY. The head coach was Ed Jucker. Gail Charles Goodrich Jr. is an American retired professional basketball player in the National Basketball Association (NBA). He is best known for scoring a then record 42 points for UCLA in the 1965 NCAA championship game vs. Michigan, and his part in the Los Angeles Lakers' 1971–72 season. During that season the team won a still-record 33 consecutive games, posted what was at the time the best regular season record in NBA history, and also won the franchise's first NBA championship since relocating to Los Angeles. Goodrich was the leading scorer on that team. He is also acclaimed for leading UCLA to its first two national championships under the legendary coach John Wooden, the first in 1963–64 being a perfect 30-0 season when he played with teammate Walt Hazzard. In 1996, 17 years after his retirement from professional basketball, Goodrich was elected to the Naismith Memorial Basketball Hall of Fame. William Warren Bradley is an American politician and former professional basketball player. He served three terms as a Democratic U.S. Senator from New Jersey. He ran unsuccessfully for the Democratic Party's nomination for president in the 2000 election. While playing for the SuperSonics in their inaugural 1967–68 season, Hazzard scored a career high 24.0 points per game, averaged 6.2 assists per game, and was selected to play in the 1968 NBA All-Star Game. Seattle traded him to the Hawks during the off-season for Lenny Wilkens. Hazzard's career high average in assists came during the 1969–70 season, when he averaged 6.8 assist per game while playing for the Hawks. The 1967–68 NBA season was the 22nd season of the National Basketball Association. The season ended with the Boston Celtics winning the NBA Championship, beating the Los Angeles Lakers 4 games to 2 in the NBA Finals. The 1968 NBA All-Star Game was an exhibition basketball game which was played at Madison Square Garden in New York City, January 23, 1968. In 1984, he returned to UCLA as its men's basketball coach, twenty years after winning the national championship as a player. That same year, he was inducted into the UCLA Athletics Hall of Fame. He coached for four seasons, winning 77 out of 125 games. The 1984–1985 UCLA Bruin basketball team won the NIT championship. The 1986–1987 UCLA Bruin basketball team won both the Pac-10 regular season championship as well as the inaugural Pacific-10 Conference Men's Basketball Tournament. However, after the 1987-88 Bruins finished only two games above .500 — the closest they had come to a losing record in 40 years — Hazzard was fired. Hazzard and his wife Jaleesa had four children: Yakub, Jalal, Rasheed, and Khalil, the last being a record producer, well known in hip-hop circles by the stage name DJ Khalil. His grandsons, Jacob and Max Hazzard, Jacob is a former walk-on basketball player at Arizona, Max plays basketball for Arizona. On March 22, 1996, Hazzard was hospitalized following a stroke. Although he made a substantial recovery over the ensuing years, his health never returned in full and subsequent to his illness he was much less active in the public sphere. 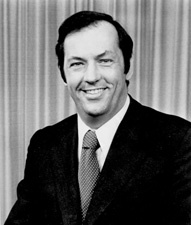 Shortly after the stroke, Lakers owner Jerry Buss promised Hazzard's family that he would remain on the team's payroll as long as Buss owned the team; Hazzard remained a Lakers employee for the rest of his life. By the middle of 2011, his health had deteriorated significantly and he was hospitalized in intensive care. On November 18 of that year, Hazzard died at the UCLA Ronald Reagan Medical Center due to complications following heart surgery. He was 69. Walt Hazzard is interred at Rose Hills Memorial Park in Los Angeles. Gerald Hatten Buss was an American businessman, investor, chemist, and philanthropist. He was the majority owner of the Los Angeles Lakers professional basketball team in the National Basketball Association (NBA), winning 10 league championships that were highlighted by the team's Showtime era during the 1980s. He is a member of the Naismith Memorial Basketball Hall of Fame as a contributor. Buss owned other professional sports franchises in Southern California. Jerome "Pooh" Richardson is an American former National Basketball Association (NBA) player. he was selected in the first round of the 1989 NBA draft by the Minnesota Timberwolves, the first draft pick in franchise history. He would also play for the Indiana Pacers and Los Angeles Clippers during his 10-year NBA career from 1989 to 1999. Marques Kevin Johnson is an American retired professional basketball player. The small forward played in the National Basketball Association (NBA) from 1977–1989, where he was a five-time All-Star. He spent the majority of his career with the Milwaukee Bucks. Lucius Oliver Allen, Jr. is an American former professional basketball player. The 1979–80 NBA season was the 34th season of the National Basketball Association. The season ended with the Los Angeles Lakers winning the NBA Championship, beating the Philadelphia 76ers 4 games to 2 in the NBA Finals, and is notable for being the year in which the three-point field goal was adopted. Gregory Clinton Foster is an American retired professional basketball player. He currently is an assistant coach with the Atlanta Hawks after spending 2013–14 season as the assistant for player development of the Philadelphia 76ers and assistant coach with the Milwaukee Bucks of the National Basketball Association (NBA). John Vallely is an American former professional basketball player from Balboa Island, Newport Beach, California who played for UCLA and in the National Basketball Association (NBA). The 1967–68 Seattle SuperSonics season was the inaugural season for the expansion Seattle SuperSonics franchise in the National Basketball Association. The team's official arena was the Seattle Center Coliseum. The 1967 NBA Expansion Draft was the third expansion draft of the National Basketball Association (NBA). The draft was held on May 1, 1967, so that the newly founded San Diego Rockets and Seattle SuperSonics could acquire players for the upcoming 1967–68 season. Seattle and San Diego had been awarded the expansion teams on December 20, 1966, and January 11, 1967, respectively. The Rockets moved to Houston, Texas, in 1971 and are currently known as the Houston Rockets. The SuperSonics moved to Oklahoma City, in 2008 and are currently known as the Oklahoma City Thunder. In an NBA expansion draft, new NBA teams are allowed to acquire players from the previously established teams in the league. Not all players on a given team are available during an expansion draft, since each team can protect a certain number of players from being selected. The Rockets and the Sonics selected fifteen unprotected players each, while the ten other NBA teams lost three players each. The 1963–64 UCLA Bruins men's basketball team won its first NCAA National Basketball Championship under head coach John R. Wooden in his 16th year at UCLA. Assistant coach Jerry Norman convinced a reluctant Wooden to use the zone press, which the team had never utilized before. The press quickened the pace of the game and was influential in the first two national titles won by the Bruins, who were undersized. The 1984–85 UCLA Bruins men's basketball team represented the University of California, Los Angeles. The Bruins received their first invitation to the National Invitation Tournament (NIT) in school history. The team went 5–0 and defeated the Indiana Hoosiers in the final; Reggie Miller was named the tournament's most valuable player. Keith Kensel Owens is an American former professional basketball player for the Los Angeles Lakers in the National Basketball Association. The forward played one season with the Lakers in the 1991–92 season. He played college basketball for four seasons for the UCLA Bruins from 1987 through 1991. The men's college basketball program of the University of California, Los Angeles (UCLA) was founded in 1920 and is known competitively as the UCLA Bruins. The Bruins have won 11 National Collegiate Athletic Association (NCAA) Men's Division I Basketball Championships, the most of any school. UCLA players have been assigned jersey numbers ranging from 0 to 78 in the team's history. The school no longer issues 10 retired numbers in honor of former players. To qualify, a player must have been a three-time consensus All-American, a consensus national player of the year, or been inducted into the Naismith Memorial Basketball Hall of Fame. The retired numbers are displayed in the rafters of the Bruins' home arena, Pauley Pavilion. UCLA's legendary coach John Wooden generally opposed having numbers retired. The 1987–88 UCLA Bruins men's basketball team represented the University of California, Los Angeles in the 1987–88 NCAA Division I men's basketball season. UCLA hosted the #12 Temple Owls and the #4 North Carolina Tarheels. UCLA lost their home game to the #3 Wildcats 76-78 in overtime. The Bruins finished tied for second place in the Pac-10 behind Arizona. In the Pac-10 Tournament UCLA was upset in their first game vs. Washington St. The Bruins did not play in any post season tournaments after that for the first time in four years. Walt Hazzard who had played for UCLA under John Wooden, coached for his fourth and final year at UCLA. Jack Hirsch is a former college basketball player for the UCLA Bruins. He was the starting forward on the Bruins' national championship team in 1964, when he served as co-captain along with Walt Hazzard. Hirsch also earned all-conference honors that season. He later became an assistant coach in college, and served as the top assistant to Hazzard. Hazzard and Hirsch coached at UCLA from 1984 to 1988. Hirsch was inducted into the UCLA Athletics Hall of Fame in 2012. ↑ Ex-Bruins coach Hazzard is stable following stroke. Los Angeles Daily News, March 23, 1996. ↑ Shelburne, Ramona (February 19, 2013). "Jerry Buss: A true sports visionary". ESPNLosAngeles.com . Retrieved February 21, 2013. Wikimedia Commons has media related to Walt Hazzard .